After configuring the points gateways, now your users will be able to complete any purchase by expending an amount of points based on the conversion rate defined. At checkout when an user choose a points gateway as a payment method, a points resume will be show before complete the purchase allowing to the user know his new points balance after proceed with the purchase. In addition, if user does not meets with the required points he will be informed of it and will be prevented from proceeding with the purchase. 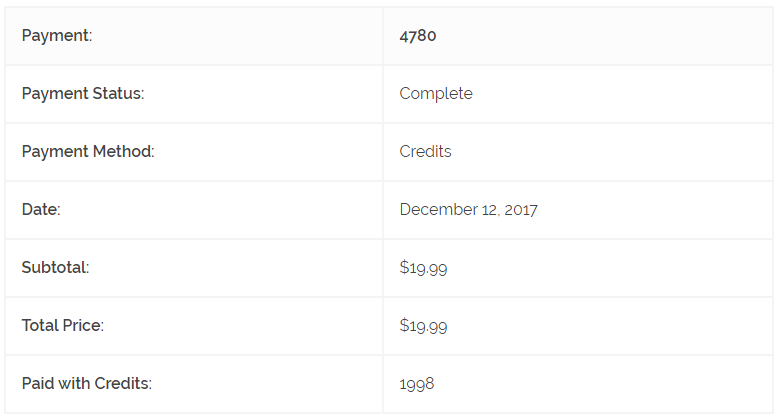 After complete a purchase the user will be able to see the points amount that he used to complete the purchase in the payment details. 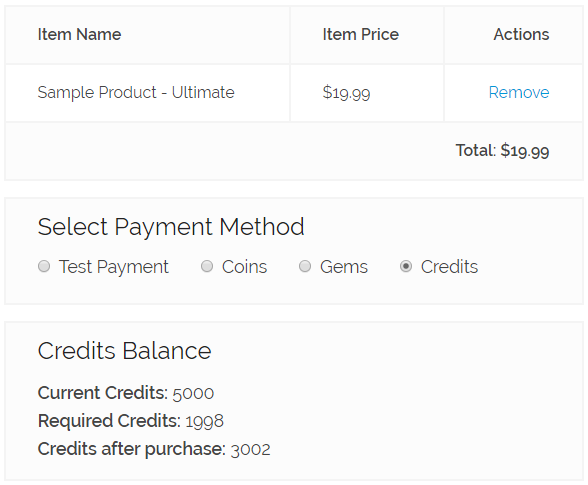 Note: On refund the payment, you will be able to choose if you want also restore the points amount used to the user.